Two White House officials and Secretary of State Mike Pompeo spoke with Saudi Arabian Crown Prince Mohammed Bin Salman to request information about missing journalist Jamal Khashoggi, the White House said Wednesday. National Security Adviser John Bolton and White House aide Jared Kushner, President Donald Trump's son-in-law, spoke to the crown prince on Tuesday. "Secretary of State Mike Pompeo then had a follow-up call with the crown prince to reiterate the United States request for information," White House Press Secretary Sarah Sanders said in a statement. A State Department spokesman said Wednesday the U.S. had no advance notice of Khashoggi's disappearance. Trump said Wednesday that he talked to Saudi officials "at the highest level" about dissident journalist Jamal Khashoggi's disappearance, calling it "a bad situation." "We're demanding everything (from the Saudi government). We want to see what's going on there," he said. He said the U.S. is working closely with Turkey on the investigation and wants to "get to the bottom of it." Trump also said he plans to invite Khashoggi's fiancee, Turkish national Hatice Cengiz, to the White House. Khashoggi, a Washington Post contributor who has written columns critical of Saudi Crown Prince Mohammed bin Salman, disappeared on Oct. 2 and was last seen entering the Saudi consulate in Istanbul where he went to pick up a document he needed for his planned marriage. Turkish sources have said they believe Khashoggi was killed inside the mission. Saudi Arabia denies involvement in Khashoggi's disappearance. 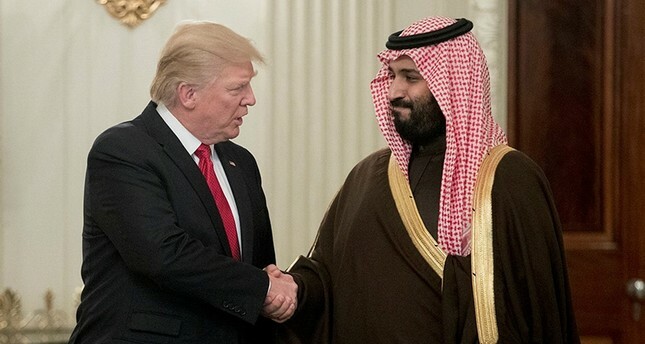 The Trump administration -- which has moved the U.S. closer to ally Saudi Arabia during its tenure -- has expressed concern about the incident but has refused to even to entertain questions about what the consequences would be if allegations turn out to be true. Senators and even Khashoggi's fiancee have called on Trump to intensify investigations. Khashoggi had been living in self-imposed exile in the U.S. for the last year.